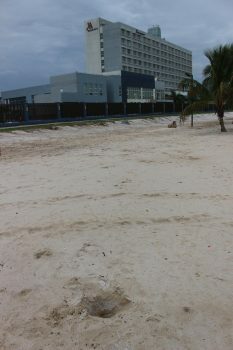 The foreshore behind the Marriot Hotel which has been cleared of signs declaring the area private property. The Marriott Hotel has removed signs which declared that the foreshore behind the hotel was private property. On Friday Stabroek News reported that a rousing Christmas Eve beach party aback the Marriott Hotel led the entity to erect signs restricting the use of the area. 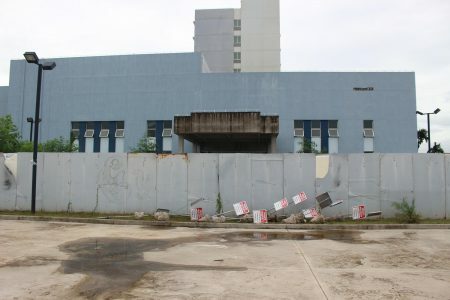 At least 20 signs declaring that the area was private property to which access without permission was prohibited had been erected along the foreshore which according to several Acts is state property. 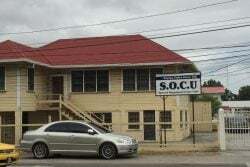 However when Stabroek News visited the area yesterday the signs had been removed. 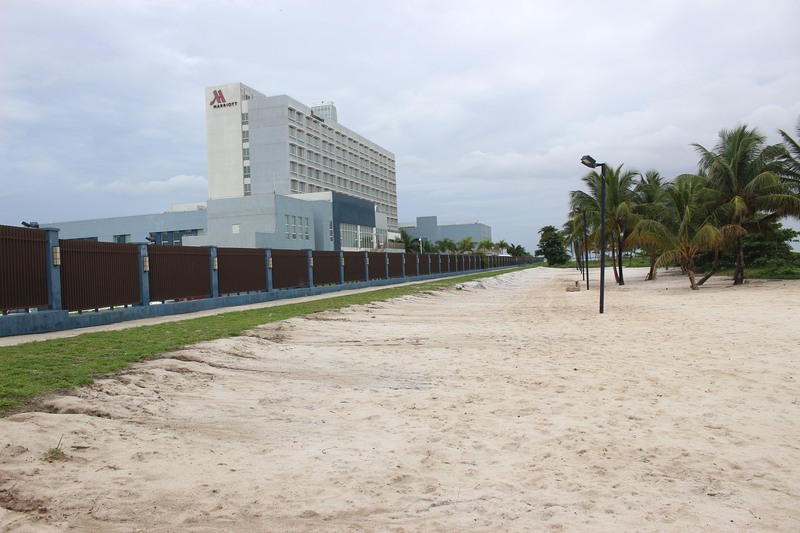 Chairman of Atlantic Hotel Inc (AHI) Hewley Nelson had told Stabroek News on Thursday that the beach area extending up to 50 meters from the hotel fence is part of the hotel’s holdings and the signs were erected as a means of securing those holdings and its guests. He explained that the erections were made in response to a Christmas Eve party held on the shore which the hotel viewed as a security breach. AHI is the special purpose company set up to run the Marriott Hotel. One of the freshly dug holes from where signs were removed. Yesterday, he said he had no further comment on the issue adding that the hotel’s lawyers were reviewing the documentation. 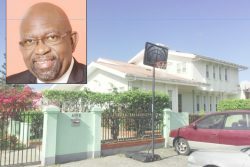 Stabroek News had contacted Commissioner of the Guyana Lands and Surveys Commission (GLSC), Trevor Benn and Geoffrey Vaughn, Head of the Work Services Group of the Ministry of Public Infrastructure both of whom indicated that the foreshore is the property of the government and people of Guyana and as such is public space. They both referred to the Sea Defence Act which specifically defines Sea Defence as all land 50 feet landward of the crest or top of any reef, bank or natural feature under and all land on the other side thereof in the direction of the sea as far as the mean high water mark. Several of the signs which had been placed on the foreshore by the Marriot Hotel. 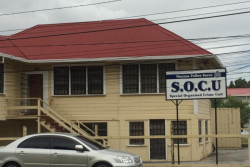 Following a Stabroek News story on the action the signs have been removed and are being stored in a section of the Hotel Compound. Benn had noted that there are many who believe that because their property extends to the low water mark it gives them rights to the foreshore but this has not been true since 1938. He explained that the hotel may have been granted access or use of the space which is not the same as ownership but has promised a more detailed response to the situation in the New Year. “It is quite possible that the decision makers at the time would’ve given then authority to utilize it for the business but it should not have become their private property. 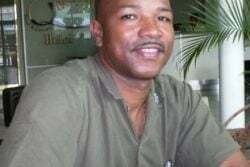 In fact government has been taken to court in several instances for similar claims since there are many who believe they have rights to the foreshore,” he explained.